I recently bought these two Wet n Wild Mega Last Matte Lipsticks at my local CVS for $1.99 each. I picked out 901B Think Pink and 910D Red Velvet. The red was (is) really scary to me because I've never felt like I can pull off red and I still don't but I really love how vibrant it is! I'm also a pink lover when it comes to lipsticks and I tend to always go for the same type of shade, too. These lipsticks apply easily and are quite pigmented, it only takes a few swipes to get great color pay off. I look forward to testing them more to have an informative review for you guys! 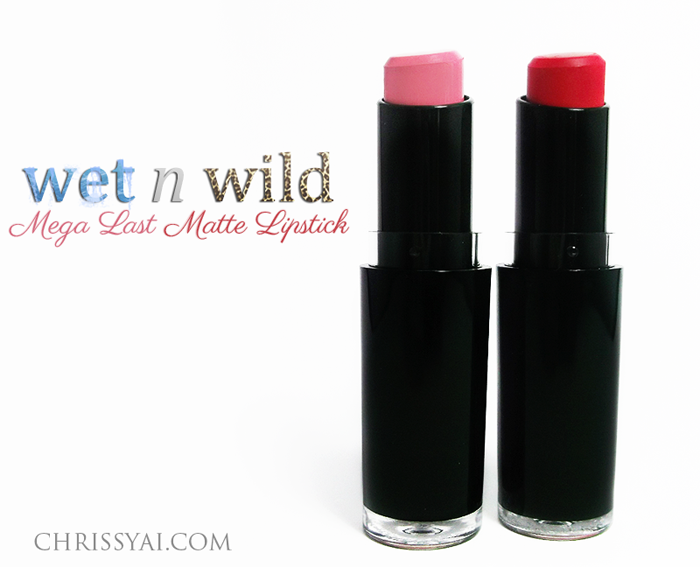 Have you tried these Wet n Wild lipsticks? If so, how did you like them? 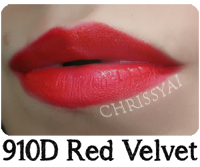 I have not tried these exact colors, but I have tried the formula and think it is EXCELLENT for the price! I love both colors on you but especially the red! I'm not much of a lipstick person either, but the colors are pretty. I especially like the pink one. These shades look lovely on you! I have a thing for lipsticks, or maybe just lip products in general lol. I can't wait to see how these are for you.